Semi-automatic Pad Printers now also available! details and new low prices! and been replaced by the above website. Colour of machines are subject to change without any prior notice. The current colour of our machine is Silver and not orange as shown above. of items with your Pad Printer? Pad Printing is suitable for printing on items which are flat, concave, convex or irregular. So, whether you are printing onto promotional gift items or for marking industrial components - the PS-21C Pad Printer is what you really need to look at. 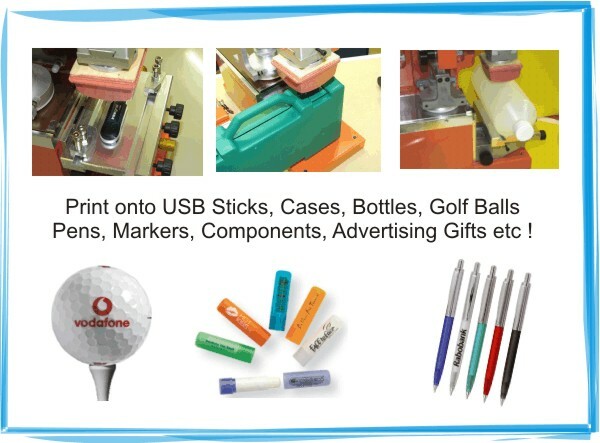 We supply a ready-to-go package at a extremely low price , which includes the Pad Printer, Plate Maker, Pads, Ink and other consumables as well as free in-depth training DVD, Full Colour Instruction Manual and after-sales support. All in all, this is a complete business in a box!